Many tenor trombonists are unaware that the International Trombone Association was initially conceived as a society for Bass Trombonists only by founding president Tom Everett, founding treasurer Tom Streeter and others. As the idea progressed, it eventually included tenor trombone players as it became the impressive world-wide association that we know today. The bass trombone is found in every major orchestra. It has has been a fully functioning instrument for hundreds of years as evidenced by the beautiful writing by Heinreich Schutz (1585-1672) in “Fili Mi Absalon“. Despite this, the bass trombone often does not receive the same recognition as an independent instrument as has its orchestral counterparts the tuba, the piccolo, or perhaps even the English horn. A ground-breaking instrument in big band jazz, and found in wind and brass bands of all types, the bass trombone has often been viewed as secondary, complimentary or optional by many and is still invisible to some. Perhaps nowhere is this more evident than in the trombone choir. Here, it seems as though the general ratio with tenor trombonists of 1 to 3 or 1 to 4 continues to be the norm-(while Viento Sur and others have made progress, the typical trombone quartet remains three tenors and a bass as well). And the upcoming Dutch Bass Trombone Open (DBTO) which takes place on September 5th, 6th and 7th will feature another renown assemblage of the finest bass trombonists and enthusiasts in the world. How and when did the idea and name for the DBTO first come about? (MARCEL) A Friend of mine, Erwin Dijkstra, wanted to have a lesson from Ben van Dijk during a workshop in Germany, and asked me to join him because it was a long drive. Thinking out loud, I told him it would be easier to call Ben up and ask for a lesson or to arrange a trombone workshop for ourselves in the Netherlands……, OR what about just BASS trombones? This is how it started-almost 10 years ago now. Just how I am telling it now, with a conversation of just a few minutes the DBTO was born. (BERT) Marcel talked to me about this idea when I visited his repair shop. I fell in Love with the idea and started to work with him about the way to accomplish it. I began to think of the right name as well. 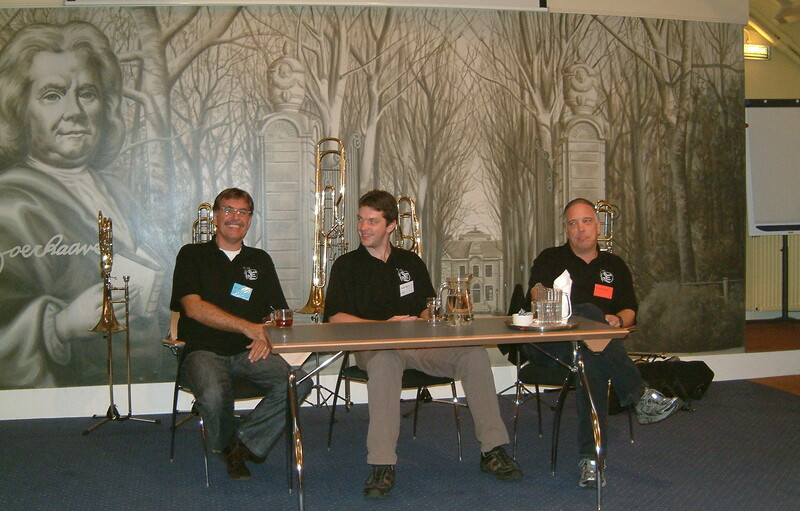 Marcel first talked about a “Bass Trombone Boot Camp” and I came up with the idea to give it a name in such a way that nobody knew what to expect-(so we avoided the words Festival, Master class, Clinic, School, Academy etc.) For us, it was also clear that we did not like competition or level differences; it should be OPEN to every bass trombone player. We loved the idea of this event being something only for BASS trombone players and immediately we came up with the phrase “No tenor trombones will be used, permitted, harmed or damaged in any way during this event!” Humor should be an important item during this event, because we bass trombone players like to laugh a lot!! We wanted to make it a special event it and decided that we would host only (!) 50 players in a nice environment with good food-very important. With all the Bass trombone connections Marcel has, we soon found Ben van Dijk who was among the first enthusiastic players who wanted to be involved! Since he was more or less the reason it all started, we also agreed fairly quick that Ben should be involved in every DBTO as a the “Artist in Residence”, and were delighted to consider the enormous network of bass trombonists he had assembled from all over the world! (BEN) This all comes from the contributions of Marcel, Bert and in the first year Erwin. Marcel presented the idea of this event during one of my visits to his atelier and it resonated like a perfect, in-tune Pedal chord! At the same time, I realized that I was accepting a challenge. Marcel and Bert have done a great job in getting this event on the map, every single time. They have great ideas, are super motivated and accomplish everything in their spare free time. Bravissimo! (MARCEL) Our first intention was to meet our bass trombone heroes, at first it was, “Can we do it?”-bring just bass trombone players together? We never thought it would grow to something so internationally recognized. About 15 nationalities have joined each DBTO. In addition, we hoped to achieve a great a motivational boost for DBTO members, to provide them with enough inspiration, technique and even some tricks from some of the best teachers in the world to inspire them throughout the year. You would not believe our excitement when we encounter such a subscriber. On the other hand, it makes us feel the responsibility to redouble our efforts to make everything worthwhile for this player to make such an effort to come! 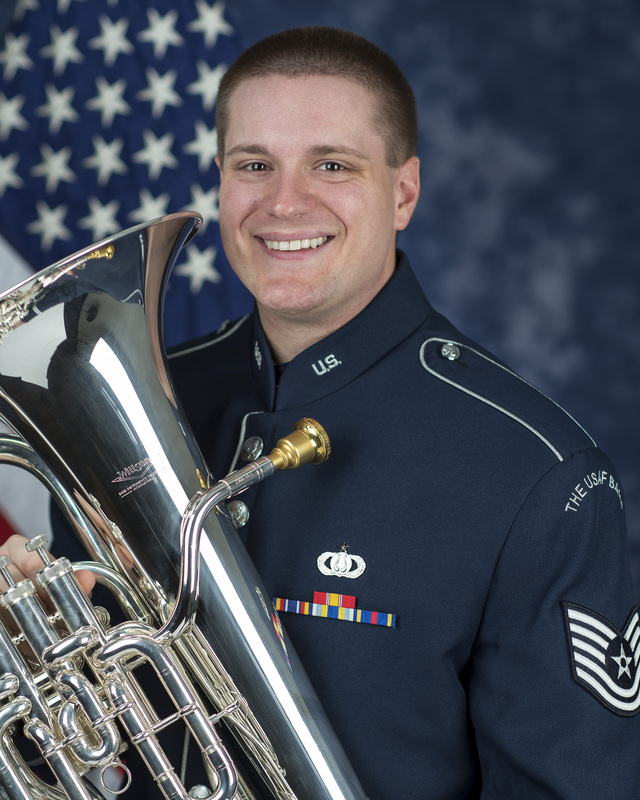 (BEN) The first thing that comes to my mind is to have a gathering of people who all share a common interest and passion, the bass trombone. To meet these people, amateur and professional players from all over the world, and have a weekend full of exchanging ideas, experiences and listening to each other-that is what I hoped for and I can say, that is what we have achieved..
(MARCEL) We had set some goals to start: 1) 50 bass trombones 2) A nice venue. 10 years ago there was no Facebook or Twitter and the internet was not so big. I sometimes wonder, how did I promote it in those days?? Despite these challenges, we always got the 40 plus players in. Finding a Venue was hard, because we wanted a complete setup where we could make music, eat and drink and sleep in one place and that was also affordable. We set the goal that the DBTO should cost not more than €300. For two nights, all the food and the DBTO program it’s almost the same price as if you would stay in a normal hotel for two days! Making a budget was the other thing. How are we going to pay for this? We really needed the support from companies to sponsor the teachers. From the start, Michael Rath and Thein brass were very supportive, and we also had contributions from Gary Greenhoe, Michael Davis, Marcus Bonna and the Jazz Orchestra of the Concertgebouw. They helped out to make it happen for Bill Reichenbach to come, with Ben van Dijk and Csaba Wagner who were the first teachers. Yamaha contributed in 2008, and Conn-Selmer did in 2012. 2010 was a bad year, planning was terrible getting all the teachers on one date, was impossible. Money was ac hallenge, but some of the funding we were hoping for but did workout. Then Ben van Dijk stepped in and arranged a all- Dutch team of teachers with Jos Jansen (Royal Navy Band), Martin van de Berg( Metropole orchestra), and Brandt Attema(Radio Philharmonic). Even without a international Artist, it was the most successful DBTO ever! As I recall, all the other things went okay and true to my experience with many other music projects I did most of the logistics and promo. Bert is the program guy and our creative on the spot trouble-shooter. 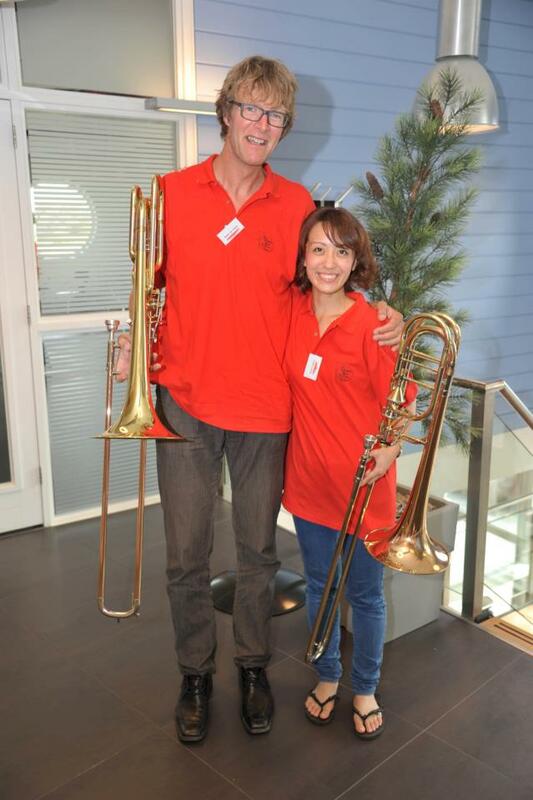 Our bass Trombone friend Erwin Dijkstra helped out, because the DBTO idea started with he and I. After the first year, I was floating on air for several days. We did do something nobody has ever done before, that gave me a kick. I had the same rush in 2008; getting Doug Yeo and Phil Teele together was something special. The review Doug wrote on his website makes me proud and emotional. (BEN) All previous years have been amazing and for me personally. It is so nice to be on a team of teachers with great bass trombonists. The first year, we had Bill Reichenbach and I remember that on the openings evening I played some Tommy Pederson duets with him-A dream come true! Bill is just one of the best players I have ever heard and besides that, he is also such a nice person. We also had the young Csaba Wagner from Hungary who played in the Opera of Berlin. What a talent this guy is! and also a very nice person. Actually, all the people we have had as guest teachers-artists were just amazing during these events. It is so important that the team is open to the participants and that they can work, listen and talk with all who attend this event. (BERT) AWSOME! Again what Marcel wrote we were floating!! We got the meet and work with (Besides Ben!) Bill Reichenbach and “new Kid on the block” Csaba Wagner!! We had no idea what to expect and were delighted that the things we worked out before came to a good ending! I remember one of my ideas of an open discussion did not worked out the way I planned but at the end we learned some personal issues from players we worship…..so maybe not at all the worst idea…. Who decided to have a bass trombone choir? (MARCEL) No tenor trombones will be used, permitted, harmed or damaged in any way during this event! (BEN) I think I can say that this probably came from my mind. I think a trombone ensemble is one of the nicest brass combinations possible. It was a challenge to try to make a bass trombone choir sound interesting. It isn’t easy to make this a success, but I can tell you it is a lot of fun! Are you aware of any previous all-bass trombone choirs? (BERT) No, even we searched for it! In the end, we even asked Bill Reichenbach write something for us! With the only remark that this pieces can only be played by bass trombone players!! (Meaning that, in every part at least a note where you need to use the valves 🙂 haha) So he did, and we still use that piece in every edition! (BEN) Never heard of it in this big set-up. I already had some experience with my bass trombone students but never more then 6 or 8 players together maximum. Here, we are speaking of a 40 plus member all-bass trombone choir. What have been some of the most memorable moments? (MARCEL) For me, it has been meeting some of the greatest bass trombone players in the world in such a special environment. They didn’t attend because we paid them a lot of money, but just because we asked them for this unique event. Asking new artist/faculty is easy. Who wouldn’t want to be on our Alumni list with Bill Reichenbach, Phil Teele, Douglas Yeo, Csaba Wagner, Denson Paul Pollard, Jos Jansen, Charlie Vernon, Matyas Veer, Mattis Cederberg, Martin van de Berg, Erik van Lier, Brandt Attema and Ben van Dijk. An amazing list it is! (BERT) I am also very proud of the alumni list! Having, for instance Phil Teele, is huge, considering Phil has never left L.A. for this sort of stuff before! Thanks to the talk Bill gave him when he came back to L.A., Phil decided to join us. I asked Phil to bring a list (if he had one), of all the movies that he played on. I had hoped to put it down in the reception area for for people to look at, just for fun. He did bring this list. I was overwhelmed-the list was a stack of 32 sheets of paper with small print and double-sided! Hahaha I could not find a movie I had seen and was NOT on the list!! Unbelievable…. Hearing Bill Reichenbach improvise on a Bach cello suite, unbelievable. To play the contrabass trombone presentation during the first edition of the DBTO.The 3rd version of DBTO, where I was together in the team with 3 of my former students, Brandt Attema, Jos Jansen and Martin van den Berg. (MARCEL) The Marching Bass trombones with Big Chief Jos Jansen! Buzzing and Bubbling-we got all 54 bass trombonists buzzing in the swimming pool with Charlie Vernon. (BEN) During one of the opening evenings I planned to play Frescobaldi, a version of one of his Canzone Basso arranged by Eddy Koopman. Since the accompaniment is on cd, I improvised a sort of introduction and asked one of the organizers of the event to start the cd at my signal. After my improvised interlude, I gave him a clear sign but he didn’t react. Even after a second and third sign no reaction so I had to tell him to push the bottom. The situation was quite humorous, especially when he told me the reason. He was in a sort of Wow-feeling and simply didn’t think of his task. What three things stand out in your mind that you have learned about the bass trombone from the DBTO? (MARCEL) It’s the best brass instrument in the world. 2) It is hard work to master. 3) We should promote the bass trombone even more. 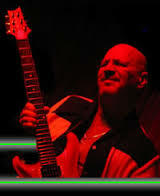 (BERT) It is an unbelievable instrument with power and gentleness in one instrument! It can make you laugh and cry. Despite of being a “lonely” instrument (even in the biggest orchestra’s there is mostly only one), the players are very sociable and many have a similar sense of humor as Marcel and me. Every time I think that I can play pretty ok on the bass trombone, I keep in mind the enormous amount of moments during DBTO that I am not even close…..So still a lot of work to be done! (BEN) How difficult it is to play in front of so many bass trombone aficionados. In the beginning I always feel so terrified but after a short while it becomes easier because everybody is so nice! (MARCEL) The best. Mostly there is only one in a band or orchestra. But if you put 50 together,man it feels great. At all levels, from beginners, students and professionals we all share the love for this instrument. Bass trombone players come in all colors and sizes. (BEN) The differences between players is striking. I mean having so many together you can hear so many different ways of playing the bass trombone. Sound-wise, style-wise, articulation-wise etc. and despite the different approaches, still many sound just awesome. Which musical performances of your own stand out? (MARCEL) For me, it has been playing with the Holland Big band for ten years. We are now playing some amazing projects, n addition to the last 6 years with Amsterdam Brass. (BERT) Playing in The Charlie Green Big band (where I sometimes sit next to T.S. Galloway, an alumnus of the great Count Basie Orchestra), and The Convocation Big band is what I like to do. I really enjoy it when people comment on the parts I play during intermission. Conducting my own orchestra and having accompanied David Taylor was a very memorable moment. (BEN) I liked a lot the duets I played with Martin van den Berg during the 3rd version. (MARCEL) Live? tThis should be th Mnozil Brass. I have heard them now three times and consider them to be best brass group ever and 200% entertaining. (BERT) Ther are too many to list. Dave Taylor in the Bob Mintzer Big band comes first to mind, I never new I would get to know him personally! (BEN) Like I mentioned earlier, Bill Reichenbach but also Doug Yeo, Jos Jansen and Brandt Attema with Brass Band. To be honest, I am always so impressed by what my colleagues accomplish on stage-so inspirational. What do you feel DBTO has accomplished? And has yet to accomplish? (BEN) DBTO has accomplished an absolutely unique repeating event that in my opinion should get much more exposure. As a serious bass trombone lover, this is a weekend you should witness at least twice in your life.